Country living at it’s finest! 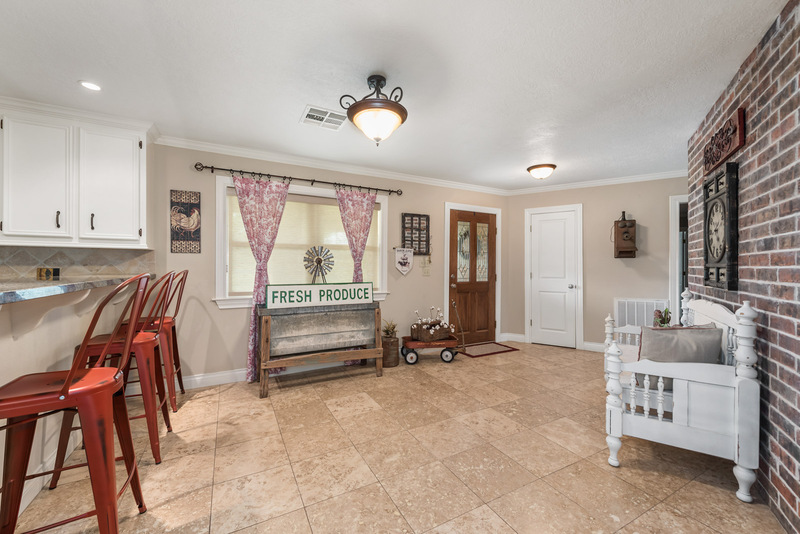 This completely remodeled and well maintained home is the original ranch home of Holland Ridge Subdivision. 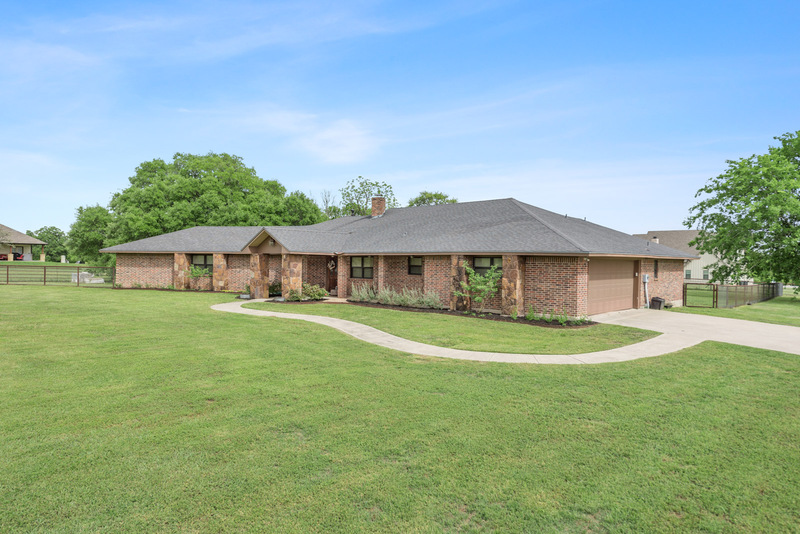 In addition to an open floor plan, it boasts two master suites, an office, an oversized mud room, covered front and back porches, a fireplace and much more! Travertine tile and granite counters are featured throughout the wet rooms in the home. The main master suite features a whirlpool tub, luxury walk-in shower with double shower head and a huge walk-in closet. Both secondary bedroom feature oversized closets as well! 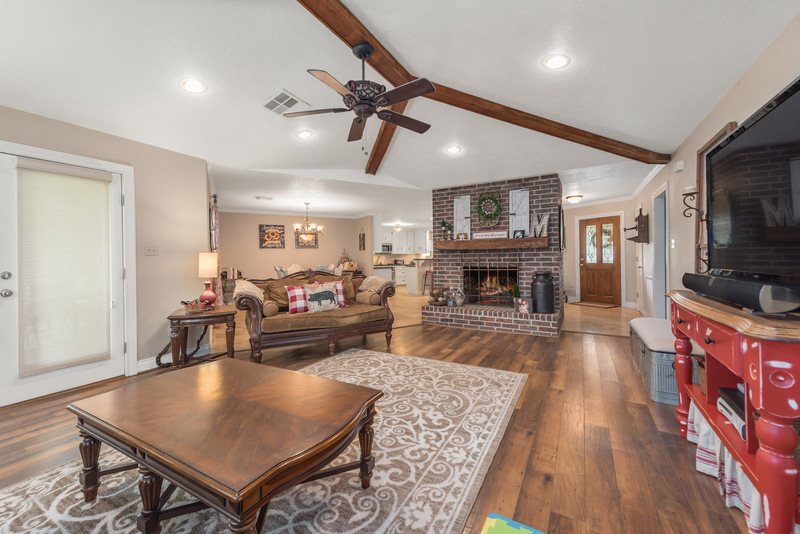 The wood floors, vaulted ceiling and wood burning fireplace make the living room a cozy family hangout. Storage and space is of no shortage in this home, nearly everything is oversized!. An electric gate with a combination of pipe and split rail fencing add to the beauty of the home and property. Holland Ridge offers an 11 acre park with two fishing lakes, jogging trails, picnic areas etc. Home Size: 2960 Sq. Ft. Directions: From Navasota, HWY 6& HWY 90, north on HWY 90 – 5.9 Miles to property entrance on the right. 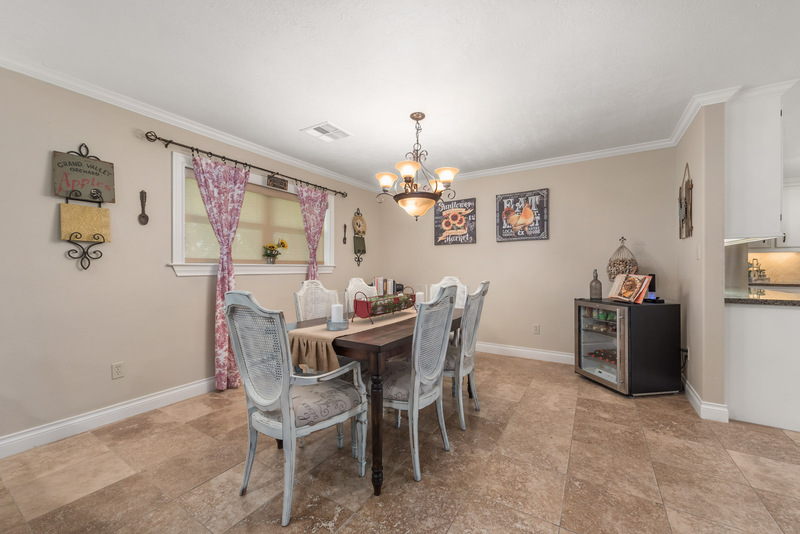 Showing Instructions: Call listing agent for instructions. Please allow 24 hrs notice, if possible (not required). Dogs need to be put up. Additional Info: Year built is approx 1979. 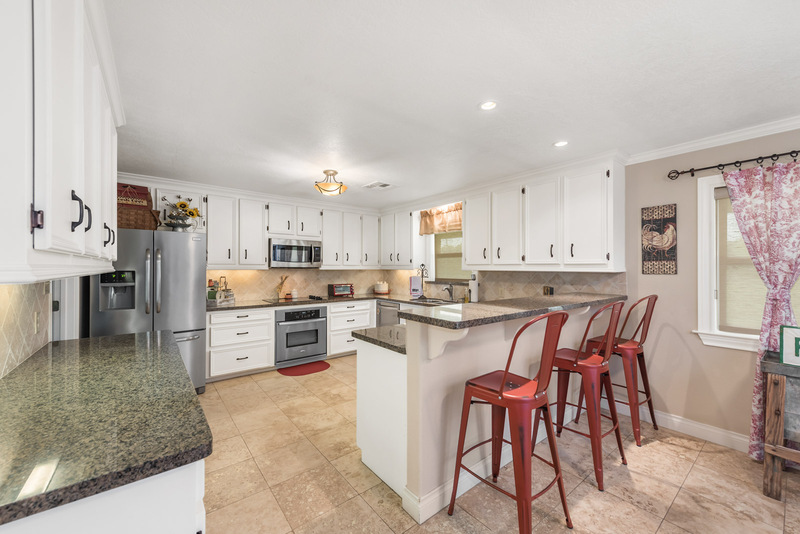 Home was completely remodeled (down to studs) in 2011 with minor updates since. Navasota Realty will gladly co-broke. As agreed between Brokers. Buyer’s Agent must accompany from first showing forward to be eligible for full co-op commission. All information is deemed reliable but not guaranteed. All information should be independently verified.